What’s a great mattress without the right bedding and blanket to go with it? 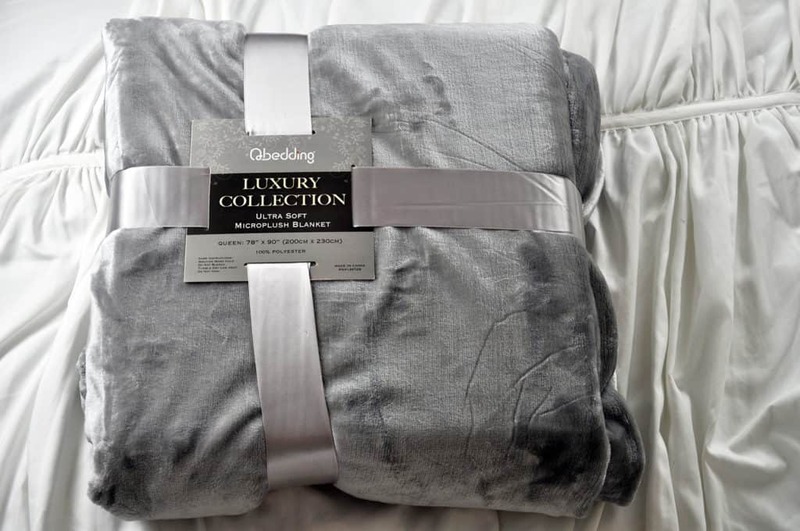 This review is going to look at a microplush fleece blanket by Qbedding from the Luxury Collection. When shopping for a new blanket, it’s important to look at factors beyond the way it looks or feels. This breakdown of the Qbedding’s microplush fleece blanket puts this blanket to the test. Just want the highlights? Click here to jump right to the summary. The microplush fleece blanket by Qbedding is an extra-thick, anti-static blanket large enough to comfortably put on your bed or for multiple people to cuddle up on the couch. It is made from machine-washable, 100% imported microfiber fleece with a self-edging trim. The whole blanket is also coated with a German Anti-Static Dye. In addition, this blanket comes in a wide variety of colors and patterns, including navy blue, chestnut, azure gray, cobble red, and a dozen others. For this review we simply had the standard grey. This microplush fleece blanket by Qbedding boasts its high GSM count, but what does that mean anyway? GSM stands for “grams per square meter.” When reviewing sheets, high thread count translates to higher quality (up to a certain point). In the blanket world, a high GSM value translates to higher blanket quality (and weight) – the higher the number, the heavier and warmer the blanket will be. 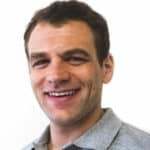 For comparison, a cotton sheet may be around 90GSM, a flannel sheet around 170GSM, and microfiber in the range between 200-350GSM. At 380GSM, the microplush blanket by Qbedding is very high quality for a microfiber and extremely warm to sleep with at night. After checking all the serged edges of this blanket, I found virtually no loose threads. The seams are very secure and tight against the thick microfiber. During a Sleepopolis review, there are a series of tests that each product line must go through to truly judge the quality of the item. For this Qbedding microplush blanket, we’re going to look at shrinkage, damage, and color. We’ve all been there – you find the perfect blanket and it’s just the right size. But you wash it once and when you take it out of the dryer, you notice that the blanket has drastically shrunk. The good news is, this blanket by Qbedding scored exceptionally high in the shrinkage test. Not only was there no noticeable shrinkage, but this blanket measured a couple inches larger than the size stated on the tag. I ordered the queen size and the tag reads 78X90”. Before and after a wash/dry cycle, the blanket measured 82×92”. 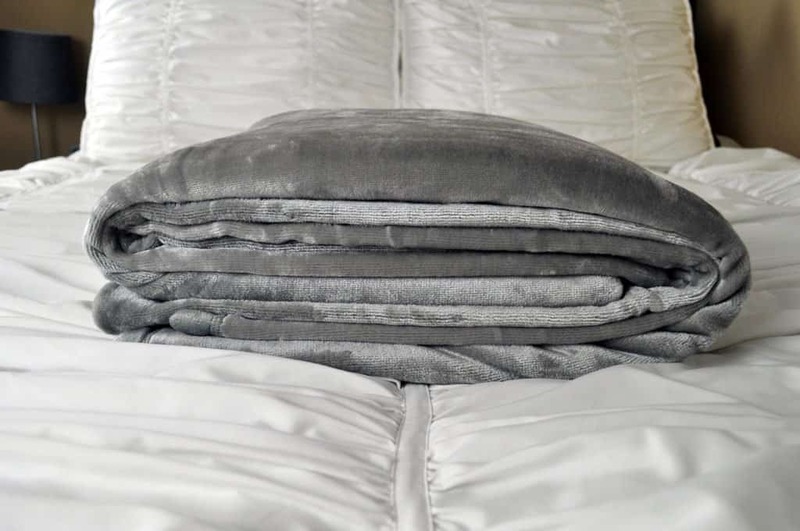 In my opinion, it’s just more blanket for your money, but if you are specifically trying to match the size of an existing bedding set, it might be something to watch out for. The tag on this blanket recommends to machine wash cold and tumble dry. There was no noticeable wear after this type of a cycle. Second, I did an aggressive cycle – machine wash hot and dry on high, a cycle that may occur if you’re in a rush or trying to sanitize after a catastrophic spill or “accident.” The blanket held up just fine after this type of cycle as well. That said, I still would recommend you follow the manufacturer’s guidelines for cleaning. For this test, I washed the blanket on cold (as recommended) with a white towel to see how it would handle any possible dye transfer. This blanket also performed well in this test, transferring no noticeable dye to the towel. Of course, this was a light gray color. For blankets with bolder, brighter colors, I would still always recommend washing on cold, by itself, for at least two cycles before combining it with additional items. Overall, the microplush fleece blanket is extremely nice. It is very smooth and warm. The higher GSM value also makes it thick and cozy and it’s a great size. It comes in throw, twin, queen, and king sizes. I put this on my bed to test out during the night and I found it to be just the right weight for a chilly winter night. For use in the summer, this blanket may be a bit heavy and too warm to sleep with. One thing I will note is that it had quite a bit of static the first time I opened it and tried to use it. No amount of shaking or smoothing seemed to affect that static and it wasn’t until I washed and dried the blanket that it was usable. The good news – after that initial wash, I haven’t noticed any more static issues. Should I buy the Qbedding Microplush Fleece blanket? Want a thick, warm blanket – It’s basic, but this is a great warm blanket and very cozy to snuggle up with. 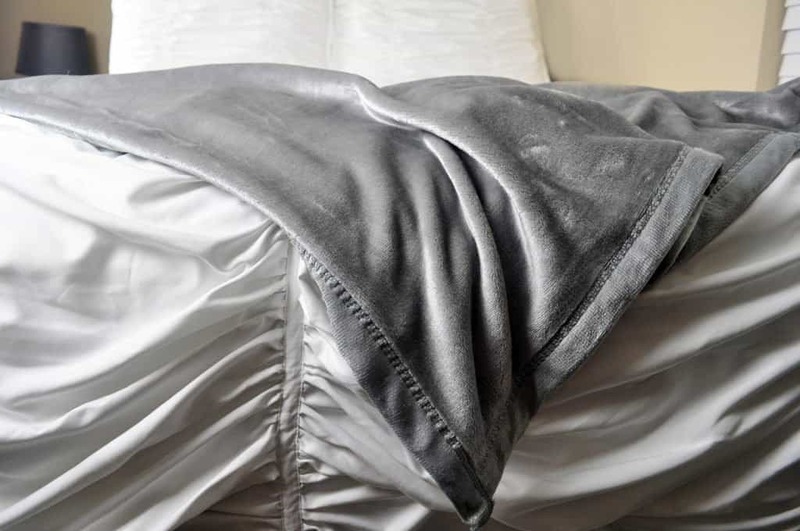 Want a variety of sizes and colors to choose from – This blanket comes in throw, twin, queen, or king sizes and makes a great addition to a bedding set or to use on the couch or armchair. Patterns range from conservative solids to fun and vibrant patterns. Want an inexpensive bedding solution – At only $32 for the queen size, this is a fantastic value for the size of blanket you get. The king is not much more, at $40, or you can get the throw size for as low as $25. Need more information or ready to buy? Visit Qbedding on Amazon.com. 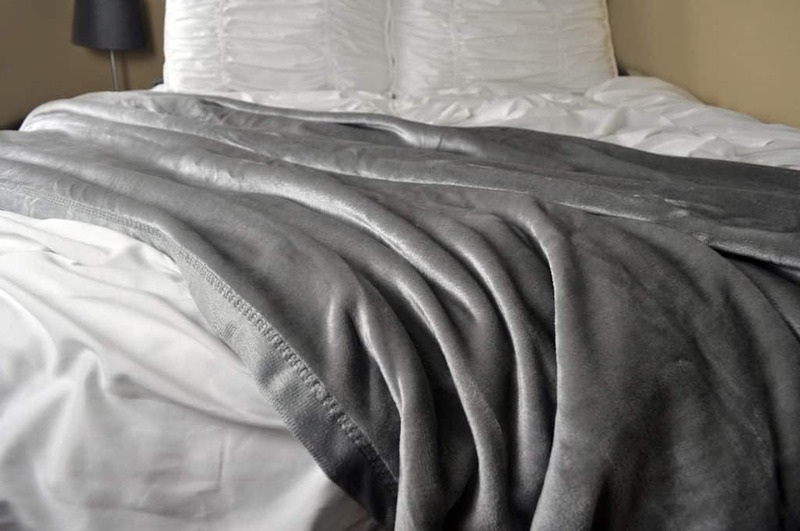 Simply put, the Microplush Fleece Blanket by Qbedding is just a really great blanket. 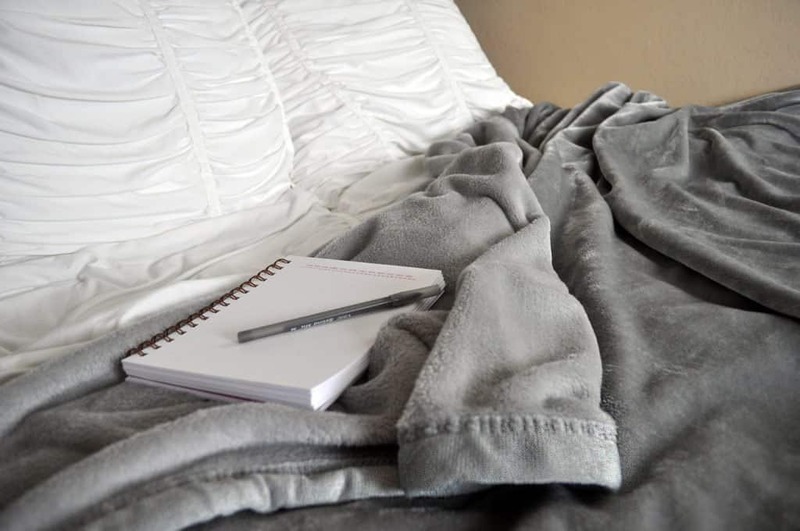 It’s not rocket science, but if you’re looking for a blanket that comes in a variety of sizes and colors, is thicker than most standard microfiber blankets, and has a luxurious feel and softness, this may be the right choice for you.